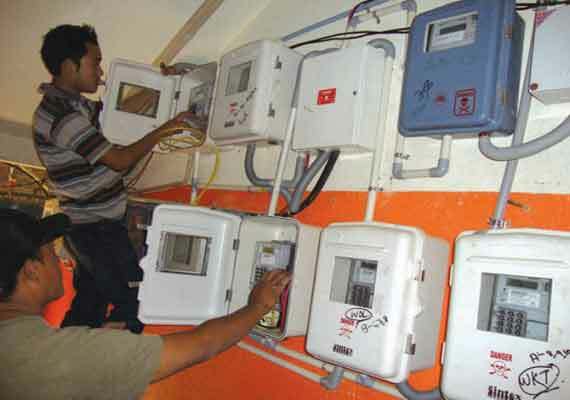 Kohima, Nov 19 : In move towards overcoming the Aggregate Technical and Commercial (AT&C) losses to the extent of 60 per cent faced by the state through power supply, the Department of Power, Nagaland would be introducing pre-paid power meters throughout the state in a phased manner. The pilot project in the state would first be implemented in Dimapur district, said Parliamentary Secretary for Power, C Kipili Sangtam while inspecting the colonies where the pre-paid power meters were to be installed. It is expected to be completed by the end of November this year. Referring to the pilot project for implementation of pre-paid power meters, he pointed out that it was already implemented in other states and the department under phase-I was opening a new chapter and hoped it would help build discipline among people. According to a handout issued by the state Power department, Nagaland is presently reeling under a heavy Aggregate Technical and Commercial loss to the extent of 60 per cent. In order to bring about reforms in power sector and also reduce the AT&C losses, the state government has taken up the project to install pre-paid power meters to offset the huge losses. It also revealed that 60 per cent of power allocated to Nagaland was consumed by Dimapur load centre but that the revenue collection in Dimapur was one of the lowest.